Transformers is big in China. In fact, I'd say it's huge! Being as popular as it is, the movies are a giant marketing opportunity for advertisers, especially advertisers in China. 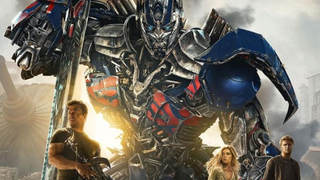 This year's Tranformers: Age of Extinction will be no different, and it's expected that the Chinese advertising will be stronger. The Wall Street Journal China reported that Chinese snack food giant Zhou Heiya will be receiving a major plug in the upcoming movie. Not only that, but other Chinese companies are said to be receiving key product placements in the film. The company, Zhou Heiya, makes and sells duck food products. Products such as processed duck necks, duck wings, and duck feet. So far there's no clue as to what Zhou Heiya's product placement will look like, but the Chinese media seems to have gotten a production photo of a Hong Kong taxi with a Zhou Heiya ad on the side. Previously, Transformers 3 was laden with loads and loads of Chinese product placement. Product placement from Lenovo computers to even Chinese-produced milk (I'm not even sure how one would get that milk in the States). In Transformers 3, the computers were Lenovo. The milk was Yili Shuha milk. Ken Jeong, however, isn't Chinese. This time around, Chinese media reports that Transformers 4 will have more Chinese elements. Part of the movie takes place in Chongqing, Sichuan province, and Hong Kong. There were Chinese actors and actresses cast in the movie. Hopefully this movie will also be better than Transformers 3. Even if it isn't... I'm sure it'll do gangbusters in China.